Should Solo and Small Firm Lawyers Blog? Solo and small firm lawyers should blog if they wish to increase their online presence and relevancy. If you need convincing, read Why should lawyers take the time to blog? 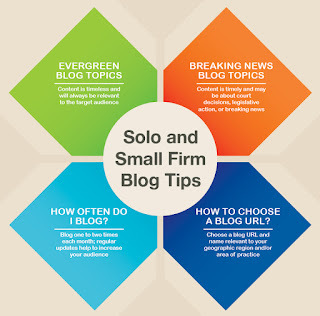 There are several ways for solo and small firm attorneys to blog. One way is to contribute to a relevant public blog once a month and link back to the firm’s website. Another way is to develop a firm blog and populate it bi-weekly. It is also important to understand that there are different types of blogs relevant to your target audience. 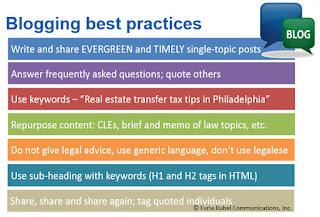 evergreen blog topics that are general and can be posted at any time and still be relevant to your target audience. Both types of posts are important for effective relationship development and legal marketing. Evergreen topics are vital to your content marketing plan. These usually address issues that you deal with every day, issues that can be discussed in general terms and that don’t change frequently. Think about the questions that your clients ask you regularly (aside from “how much will it cost?”). Your answers make for great evergreen blogs. Evergreen blog content can be shared repeatedly over time, generating three and four times the amount of traffic and maximizing your investment in content marketing. If you plan to develop a firm blog on your own, choose a blog URL and name relevant to your geographic region and/or area of practice. For more tips and instructions, see:How do you set up a free WordPress Blog? Holiday Gifts - How Much Are We Spending? A while ago, our own Rose Strong wrote about Holiday Gifting at Work. The etiquette for purchasing gifts for co-workers and your boss is always a sticky situation. Have you ever wondered how much the average worker spends on a holiday gift for a co-worker? This year, and in the recent years since the recession, the average price has gone up, as well as the amount of money the average person spends on gifts and seasonal items. Enjoy this infographic and Happy Holidays! As a Philadelphia-area marketing and public relations agency with a focus on legal marketing, we here at Furia Rubel get asked a lot of questions about how lawyers should handle social media. Some of the most common questions have to do with the relationship between an individual lawyer and the firm, particularly when it comes to marketing. Should a personal profile for a lawyer on Twitter link to the law firm’s website? Should an individual lawyer brand his or her social media profiles independently or link to and mention the law firm where he or she works? As with most marketing situations, the answer is "it depends." 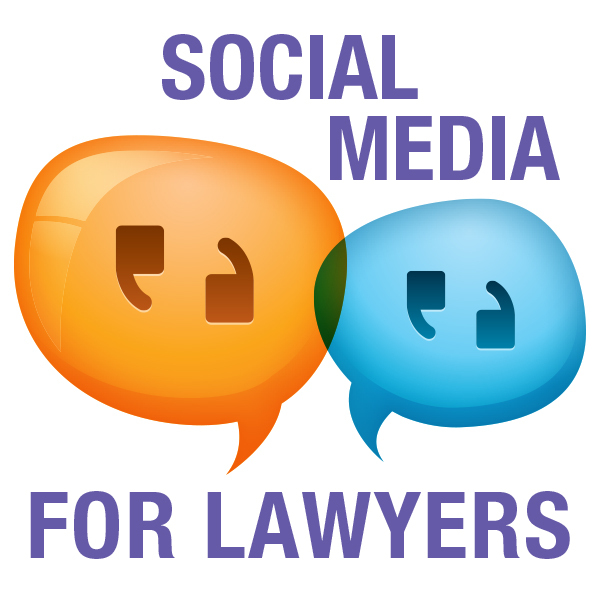 For solo and small firms and individual lawyers, social media profiles should always mention their law firm. In these instances, the lawyer *is* the firm – he or she is inextricably tied to the law firm brand. In big law firms, however, the answer is more nuanced. The attorney first should consult the firm’s social media policy. If the policy permits or requests that the lawyer mention the firm's name in his or her profile, and/or to link to the firm’s website, then this is a best practice. Many firms require a disclaimer in the lawyer's profile as well. They usually read something to the effect of, "These opinions are my own and are not endorsed by my employer." Remember, there is strength in numbers, and if you're in a big law firm, being associated with the brand can only support your individual lawyer marketing and business development efforts. In today’s age of work overload, executives and leaders can find themselves overextended and over-scheduled, drowning in a sea of meetings and emails that all require their personal attention. Tasks easily can get pushed to the back burner and eventually forgotten. When your boss’s workload starts to affect yours, it is time for you to start managing up. Managing up refers to working with your boss to enhance the relationship and improve workflow. As a respected employee, you should be able to proactively address items with your boss, provide friendly reminders, and offer suggestions. If you find that you cannot move forward with a project because it needs your boss’s feedback and items are piling up, empower yourself to manage your boss. Here are some key tips to managing up. One key element in managing up is knowing your boss and being aware of when and how best to approach him or her, because every person is unique. Does your boss like to review documents electronically? Perhaps emailing the documents to her is most efficient. Does your boss like to review hard copies? Print out the documents and reports that need attention and present them to her for review. Understanding timing is crucial as well. It is probably not a good idea to bring a laundry list of projects and processes that you think can be improved upon on days when last-minute deadlines and urgent issues demand your boss’s attention. Jot down your thoughts on those and bring the ideas to the table when crunch time has passed and your boss has more opportunity to focus on what you are saying. Feel free to lighten your boss’s workload by offering to take on some of her tasks. Not only will this keep the work flowing, but it can also provide you with more experience in achieving a skill you might not have had the opportunity to learn before. Just be sure that you can actually accomplish the task accurately and within the specified time frame before committing. Anticipate your boss’s needs by thinking “what’s next?” If you’ve delivered a report to your boss for review and you know it is due to the client by a certain date, make a note to follow up with your boss to be sure that she has made time to review it well before the deadline. Maintain a positive attitude. Remaining tactful and friendly is always a plus when communicating with a busy boss. Sometimes a gentle reminder to look over a proposal or call a client is all your boss needs. Open dialogue is vital to understanding expectations in order to work more efficiently, so be sure to establish open communication with your supervisor through regular check-ins. Remember, your boss is busy with a heavy workload and multiple employees to supervise; if he or she does not schedule these meetings, take it upon yourself to arrange them. 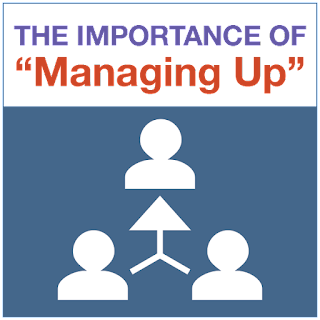 Managing up also refers to proactively approaching your employer with ideas on ways to improve efficiency and effectiveness, overall. Step out of your specific role in the company and look at the big picture. Put yourself in the mindset of the top leader and think of ways to improve the company and to strategically achieve the company’s goals outside of the current work being done. Your ideas may not all be utilized but they will be appreciated. You were hired because your boss saw you as an asset who could add value to the team. Learning how to manage up effectively will benefit you, in the end, because your working relationship with your boss affects your ability to do your job. And nine times out of ten, your boss will appreciate it, too, because it will enable her to do her job better. That kind of teamwork will help both direct reports and managers be more successful. For more resources about managing up, check out this Harvard Business Review article, and feel free to share your own tips in the comments. Why do rebranding projects falter? Why do rebranding projects succeed? What is the “right way” to engage in a rebranding process? As an integrated marketing agency that handles numerous branding and rebranding projects, Furia Rubel has the opportunity to develop, manage and provide creative services for many companies in various industries. Some fundamental questions should be asked and answered about the process and the outcome even before a rebranding project starts. I share some of the most common Q&As here. What are the steps in a branding or rebranding project? At the start of brand development, the team will provide strategic counsel in order to refine existing data and market information and gather new insight in order to set the foundation and strategy for the project. The process includes marketplace and target audience analysis, brainstorming, internal interviews, a review of core brand values and mission and a public perception survey. At the core of Phase II is strategic counsel and presentations for visual brand options that are developed in conjunction with the brand story, positioning statement and tagline. Developing the visual options always includes testing for quality and functionality of the logomark, font and icons. During Phase III, teams work collaboratively to finalize the brand elements. All final file formats for the new brand are developed, documented, packaged and delivered. A set of brand standards should always accompany a brand. These act as a set of guidelines to provide direction on appropriate use for internal teams and external partners, in order to ensure consistency. What is the organization trying to accomplish with a rebrand? The common objective of a rebranding initiative is to improve a brand’s alignment with the organization’s mission, vision and culture and to improve relevancy and value to target audiences. The specific objectives of rebranding projects vary. Typically, organizations look to develop a brand that more strategically reflects the voice and composition of key stakeholders. To determine the essence of this voice, for example, a marketing agency may develop a survey to distribute to all target audiences, both internal and external. The survey results will guide discussions and the decision-making process regarding the new brand, including the brand’s position, purpose, voice and identity. The challenge with a rebranding initiative is achieving awareness with a successful launch and maintaining relevance and brand recognition over time. How will we measure the success of our brand? Brand measurement is gauged by awareness. Awareness can be measured through primary research such as focus groups, interviews and surveys. Benchmarks should be set after the rebranding initiative is launched. Collection and data analysis should occur on a regular basis. How can our brand become iconic? Or: How do we get to the status of the Nike swoosh symbol? The Nike brand has become iconic over time, with a dedicated and concerted effort to prove relevancy and value to Nike’s audiences in tandem with brand reputation management. This entire effort is channeled throughout Nike, from the storefronts to the boardroom. Note that Nike spends much more on its marketing and public relations strategy than it does on manufacturing product. This type of hyper-recognition typically is reserved for consumer brands (Nike, Amazon, Starbucks, Google). We always encourage B2B companies, nonprofit organizations, higher education institutions, etc. to strive for similar recognition relative to their market and location. We have a brand – now what? A Strategic Communications Plan can answer this question. 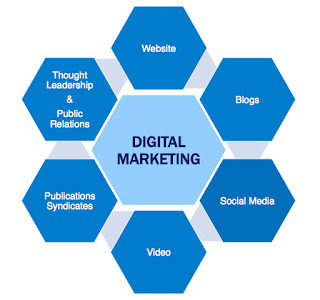 The role of integrated communications is to help build a brand by delivering key messages to target audiences to elicit a particular response; to shape public opinion, attitudes and beliefs; and to build and retain awareness via the most effective and direct methods. One of the primary goals in communications is to augment and expand the number of touch points between an organization and its target audiences in order to build brand awareness. These tactics must be well defined and must align with the company’s budget and resources. If you have questions about whether a rebranding is right for your business, contact the experienced Philadelphia-area marketing agency, Furia Rubel Communications. During a one-hour legal marketing webinar hosted by MyCase, I addressed the basics of digital marketing for lawyers. This program covered the basics of why lawyers should be engaging on social media, in blogging, and what types of content draw the most attention. What is the ABA's position on using Facebook for law firms? For those of us who target businesses, how relevant is Facebook in a non-consumer-facing practice? How does one expand contacts on Facebook? Is it okay to mix personal content such as travel photos with business content such as blogs on my social media profiles? Should you ever share any personal information in social media like your vacation plans, personal thoughts or supporting your favorite sports teams? A full recording of Digital Marketing for Law Firms can be found on LinkedIn’s SlideShare along with a MyCase recap of the webinar on their blog. Blogging does not have to be a daunting task for lawyers. As most blogs address a single topic in a short and concise manner, it should be easy to come up with blog topics that serve your target audience with information about your areas of practice to establish you as an authority. · Keep a notepad next to your phone or keep notes in your mobile device. Every time a colleague, client or prospect asks you a substantive question, write it down. The answers to those questions are almost always worth blogging about. · If you’re a transactional attorney, consider every transaction for a blog topic. For example, every contract has many clauses. Contract attorneys can write short blogs about the benefits and/or pitfalls of various contract clauses such as termination clauses, non-compete clauses, liability clauses, etc. · Review your memos of law and briefs for substantive (non-fact-specific) content that can be edited and sanitized of client-specific information and turned into blogs. · Utilize materials from CLE programs and seminars you have presented for blog topics. In fact, CLE presentations are a great source of imagery to support blog topics (such as screenshots of a single PowerPoint slide that supports the premise of the blog post). · Set up a free Google Alert on specific topics in your area of practice and review them daily. If something is breaking in the news, you’ll be on top of it. If you do set up a Google Alert, consider creating a rule in your email system that sends the alerts to a dedicated folder that you check once a day. That way, alerts will not clutter your inbox. · Subscribe to or regularly review any of the following syndicated news feeds to stay on top of the issues being discussed by other firms throughout the country: Lexology, Mondaq, JD Supra, National Law Review. · Have someone record presentations you are giving and then have them transcribed. Edit the transcription into several blog posts. How Much Should I Budget for Facebook Ads? We recently discussed top tips to keep in mind when considering whether and how to advertise on Facebook. One of the most important factors, however, deserved a whole post of its own – setting the budget. If time and money were unlimited resources, there would be no need to set a budget for anything, much less advertising. But, of course, those resources are not unlimited, so determining a budget for your Facebook advertising campaign is crucial. As with many things in life, spending too little will hamstring your campaign before it even begins, while spending a great deal may be overkill. 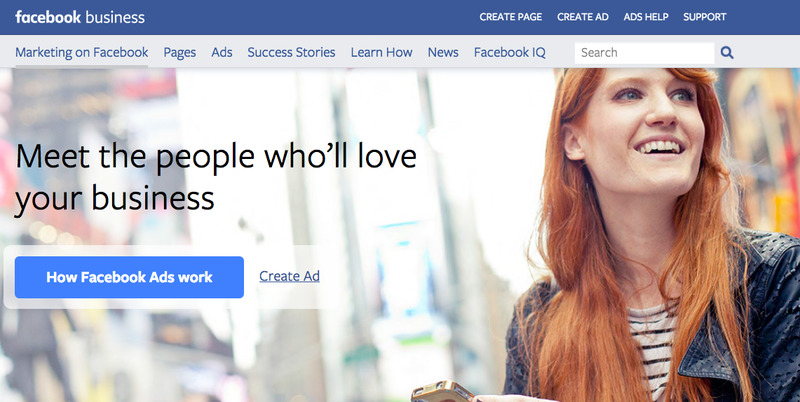 Here are some basics to keep in mind when deciding how much to spend on Facebook ads. Facebook advertising works on a budget. You can set the budget to spend a certain amount per day or a “lifetime” budget of the amount to spend for the entire campaign. If you choose a budget per day, after the daily budget is exceeded, Facebook will stop delivering the ad to viewers until the next day. If you choose a lifetime budget, the advertisement will continue until your budget has been spent down to $0. If the ad set gets charged for impressions, its daily budget must be at least $1 a day. If the ad set gets charged for clicks, likes, video views, or post engagement, its daily budget must be at least $5 a day. If the ad set gets charged for low frequency events like offer claims or app installs, its budget must be at least $40 a day. Some examples: If you set up a “per day” budget at $5 per day, and set your duration for 30 days, your overall ad budget for the month is $150. If you set up a “lifetime” budget at $200, and set your duration for 30 days, Facebook will try to evenly distribute the budget (about $6 a day). 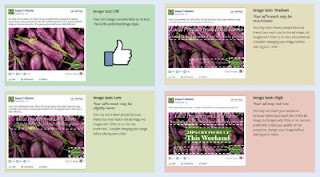 Click here to read more about advertising budgets and how they work on Facebook. When first beginning a Facebook ad campaign, you can set your budget relatively low and track the results to see what works best for your organization. You can also test out different images and text and see which works best. You can create several ads with variations and track which advertisements drive better traffic and click-through rates. If you don’t want to invest in an entire Facebook ad campaign, “boosted” posts are another option Boosted posts appear more frequently in people’s news feeds, increasing the chances that your audience will see the posts. Similar to Facebook ads, you also can set a budget and duration for boosted posts, and you will be able to see how many people have viewed the post. Click here to learn more about boosted posts. When integrated marketing and PR agencies such as Furia Rubel create advertising campaigns for clients, one channel we often consider is Facebook. Different social media platforms are appropriate for different kinds of businesses, but Facebook is one that is often appropriate for our professional services clients. By now, it should be no surprise that social media platforms enable companies to target advertising to very specific audiences, and Facebook certainly offers that ability. More than 1.4 billion people use Facebook, and more than 900 million of them visit the platform every day, according to statistics from the company. To get the most out of your investment in Facebook advertising, here are some tips to keep in mind. Make sure to set a goal before you start to spend money. What do you want to accomplish? More Facebook likes? More website visits? More completed forms on the website? Setting a goal first is necessary in order to effectively measure the success of the campaign. When you start to design your ad, one of the decisions you will have to make is which text and which images to include – and how much of each. If you have overlaid text on your image, Facebook has a set of guidelines, which you can view here to see if you have too much text on your image. Facebook prefers 20 percent or less of your image to contain text. Facebook ads that have little or no text will cost less money, and they will achieve better delivery rates than images that contain text. See below for different examples of image-to-text ratios. Facebook also has a helpful automated system that you can check to see whether your image falls within Facebook guidelines. Location – by country, state, city, and/or zip code. This can be as targeted as you would like. If you want your ad to be seen only in Chicago and the surrounding areas, set the City to Chicago and then add a 10- or 20-mile radius surrounding Chicago. Age – settings range between the ages of 13 to 65+. Gender – female or male, or all. Language – reach people who have set their Facebook preferences to a specific language. More Demographics – provides a listing of other items including relationship status, education, work, financial, home, ethnic affinity, generation, parents, politics (US), and life events. Interests – search for specific interests, or pre-select from Facebook’s list. Facebook will show you interest levels for various topics. Behaviors – reach people based on interests such as how they shop, what kind of device they use when checking Facebook, specific job roles, if they are a homeowner, etc. Connections – add people who like certain pages, or exclude people who like certain pages. This is helpful if you want to reach new customers that aren’t already connected to your Facebook page. While you are setting your ad targeting, watch the “Audience Definition” meter to the right of the page. As you start to narrow down your target market, the numbers will diminish for your audience selection. If you target too specifically, the daily reach could be less than 100, which would not be ideal. Facebook offers robust tracking systems. If you are tracking people who go to your website to fill out a specific form, or purchase an item, you would install a small snippet of code, and then Facebook will know if the action was completed. If you were driving traffic to your website to have a form filled out, you would place the tracking code snippet on the “Thank you for filling out this form” page. By adding tracking code, Facebook will track the “completed” actions for the advertisement. If you are considering whether a Facebook advertising campaign is right for your marketing strategy, contact the experienced marketing and PR team at Furia Rubel Communications. Communications and marketing professionals often plan messages and campaigns around holidays. You will always see social media posts wishing you a happy Fourth of July or an ad announcing the President’s Day Sale. But, what if attitudes toward certain holidays are changing? If you had off from work or school this past Monday, Oct. 10, you probably called the holiday Columbus Day. But, in many states this is changing. 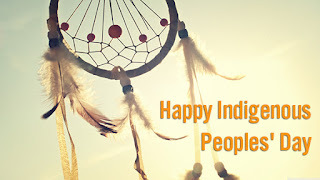 Due to a movement to support Native Americans’ contributions to the United States, many communities have changed the holiday’s name from Columbus Day to Indigenous Peoples' Day. The movement started in big cities such as Seattle and Albuquerque and, over time, extended to smaller municipalities and school districts. In fact, in the year since 2015, 14 communities have joined a growing list of towns and cities that now use the day to honor the history and voices of indigenous people. The actual holiday of Columbus Day may not affect you – only 23 states and Washington, D.C. recognize it—but the shift away from celebrating Columbus represents a larger movement to reevaluate American history. The history of Columbus Day is littered with controversy. It is widely accepted that Columbus did not “discover” America, and he was responsible for the death and mistreatment of innocent indigenous people. Native Americans have been protesting the holiday since FDR made it a federal holiday in 1937 , and the conflict came to a head in 1992 with the 500th anniversary celebration that brought protests from around the world. Martin Luther King Day similarly remains controversial for some parts of our country. Martin Luther King Day was first observed in 1986, but it wasn’t a federal paid holiday in all 50 states until 2000. The last state to recognize the holiday was South Carolina. However, Arkansas, Alabama, and Mississippi observe MLK Day (federal holiday) and Robert E. Lee Day (state holiday) both on the third Monday in January. In each of these states, there continues to be a battle over separating the two holidays, as many find it wrong that a Confederate general and a leader of the Civil Rights Movement are celebrated on the same day. So what are the implications of such controversies for professional communicators? For one thing, the debate reminds us that different parts of the country approach the history of our country and its culture differently. It makes sense that cities with larger Native American populations, such as Albuquerque, changed the holiday’s name to Indigenous Peoples’ Day. It’s a good reminder that what might be a common touchpoint for one market segment of the country may not resonate in the same way with another region. When the next holiday rolls around, then, remember your audience. Are you posting a Happy Columbus Day tweet? 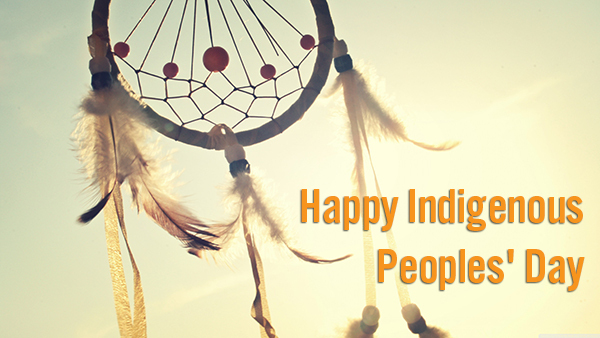 Or a Happy Indigenous Peoples' Day tweet? Understanding the cultural differences at play will help you craft a communications initiative that does not inadvertently offend your target audiences. 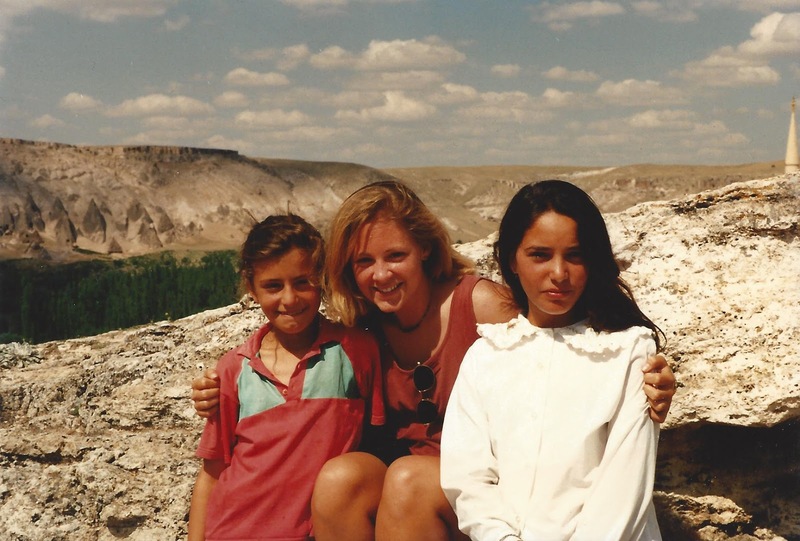 including these two young girls in central Turkey in 1995. Our VP of Public Relations, Sarah Larson, is celebrating a work anniversary here at Furia Rubel. To mark the occasion, she shared with us some insight into her career path, her growth as a writer, and her favorite part of her job. How long have you been working for Furia Rubel? I know you’re not a native Pennsylvanian, so, where did you grow up and how did you wind up in PA? My wanderlust took root at a young age. I was born near San Francisco and raised in Moline, Illinois. When I was young, my family traveled for months at a time (both my parents worked in education and had summers off) throughout the western states. When I was in college, I worked part-time for a cruise line and traveled throughout the Caribbean, and after I graduated from college, I moved to Hungary to teach English for a couple years, traveling throughout eastern and southern Europe every chance I had. Moving to Pennsylvania for a career opportunity in 2000 was a no-brainer. When did you first realize you liked writing? Did you write stories as a kid? Were you on the school newspaper? Before I began to write, I first loved to read. On weekly trips to the public library, I would come home with a stack of 10 to 12 books at a time. Once, a librarian even asked me why I took out so many books. “There’s no way you can read all of these before they’re due back.” I just looked at her blankly. I read every one of those books, and more. After consuming so many words, it was inevitable that I would one day begin to release those words back into the world. I really started writing with purpose in fifth grade. I wrote poetry, short stories, murder mysteries, courtroom dramas, and more; I was the kid in class who couldn’t wait for the essay assignment. By the time I got to high school, I worked on the staff of my school’s annual creative arts magazine, and the yearbook, and was first a writer then an editor for the school newspaper. What made you decide to be a journalist? People fascinate me. Telling their stories was natural for me - and even policy stories or breaking news stories really are about the people affected by those issues and events. My love of history and politics drove me to see connections and give context to events, while my love of science helped me explain complicated subjects to my readers. What is the biggest change when going from journalism to public relations? The move from journalism to public relations is a well-worn career path. Many of the skills you need in order to succeed are the same in both careers. The main difference is allegiance. In journalism, you are an objective third party, but in public relations, you are actively advocating for that client. To advocate effectively on their behalf, you have to believe in them, and they have to have trust in you. How has your journalism career influenced how you practice PR? Having worked in journalism for so long gives me an understanding of how the news is made at both a tactical and a strategic level. This benefits my clients in innumerable ways, from knowing the best day to put out a press release, the best type of story to pitch directly, the best time to hold a press conference, and how to plan an event that will be newsworthy enough that the press will want to cover it. What do you like most about being VP of PR for Furia Rubel? Change and challenges are like oxygen for me; I need them to survive, so I love the fact that every day is different. Particularly with the growth in our Crisis Communications services, I never know what the day might bring. My team might be crafting a public statement for a business under scrutiny or arranging a last minute press interview or announcing a major initiative. The uncertainty keeps things interesting. Do you have any hobbies that help you wind down from a hectic week at work? I love to travel, and go to shows or museums. I read and write every day. Other hobbies vary with the season. This summer, I spent most of my free time outside in the garden, growing heirloom tomatoes and other veggies, and then in the kitchen, canning and freezing the produce. In the winter, my indoor pursuits usually include something creative (stamping, scrapbooking, card-making, photography, and other artistic pursuits) or related to my family history research. My primary ancestors hailed from Ireland, Scotland, Norway, and Sweden, and I’ve traced the oldest known branch of my family back to 1598 in Gloucestershire, England. Name four of your favorite apps for your phone. To learn more, check out our website or connect with Sarah on LinkedIn. Successful public relations professionals know how to work with the media – but have those pitching basics changed in recent years? We caught up with some Philly tech journalists at a recent event to find out. 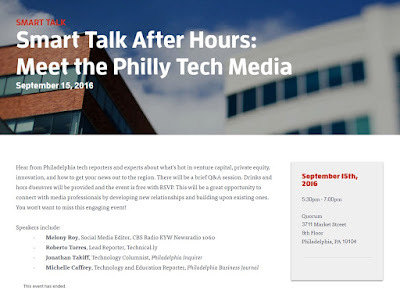 Hosted by Business Wire, Smart Talk After Hours: Meet the Philly Tech Media offered the opportunity to hear directly from the Philadelphia area’s top technology reporters about the projects they are working on and how to connect with them most effectively. Each of them writes about the burgeoning tech and start-up scene, focusing on innovative businesses in Philadelphia. Each spoke about his or her individual writing process and experience with public relations professionals, but they all agreed on a few tips. They want an exclusive. The journalists agreed that they are more likely to run a story if it is an exclusive for them. Every media outlet’s goal is to break the news first, so journalists want to be the first to talk to a particular person or about a certain topic. The phone still works. Both Caffrey and Torres spoke about how email pitches aren’t always the most effective method of pitching. Caffrey doesn’t mind a phone call and welcomes any pitch via phone especially if she has a relationship with the PR contact. Torres made things even more personal, and talked about how he prefers in-person pitches. He attends many networking events and doesn’t mind being pulled aside to discuss a potential story. Make the pitch to their beat and what they are interested in. Each journalist spoke about the importance of pitching to their interest. For example, don’t pitch a story about a tech company in New York City to Torres. He writes about tech companies in Philadelphia, not New York City. Don’t pitch Takiff a business story; he is interested in consumer experience. Most of the journalists on the panel talked about filing up to four stories a day. They want to hear your pitch, but be sure that it is something for them. Follow ups work, but be respectful. The panel spoke about PR Pitch horror stories. Most of them were about PR pros that just wouldn’t leave them alone or didn’t understand why the story wasn’t right for their publication. Follow up reasonably, and if the journalist doesn’t respond after the second or third follow up, they are not interested in your story. Each journalist’s experience reinforced media relations best practices. If you craft a good pitch, pitch it to the right person, and follow-up appropriately, you have a better chance of being successful. Many companies today are active on Facebook, LinkedIn and Twitter. 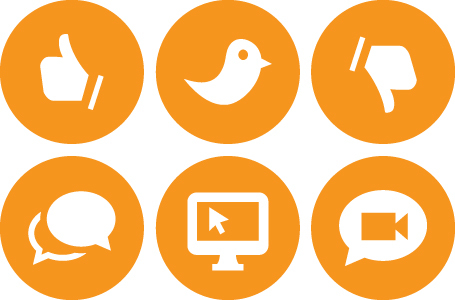 These essential social media profiles have become professionally acceptable ways of engaging with target audiences. When firms work with a marketing agency, such as Furia Rubel Communications, the agency often is asked to write and post content on the organization’s behalf. This can be done in various ways depending on the client’s in-house resources and their contract with the agency. 1. On individual Facebook, LinkedIn and Twitter profiles, share the same public relations content that is posted on the company’s official profiles (see above). 2. Share newsworthy articles related to and affecting the company’s work from industry organization sources. 3. Share articles of interest to the public that relate to the firm’s core business services from consumer resources such as The New York Times. 4. Create posts relevant to days of the year that relate in some way to the organization’s target audiences; for example, a back-to-school post, a Thanksgiving season post, or a Father’s Day post. 5. Share photos and/or video from activities that you participate in outside of work; for example, 5K races, volunteer work, or attendance at a special event. Many professionals who previously have not been active on social media want to be engaging on those platforms, but they aren’t sure how. These tips should help get you started. Over the last 15 years or so, along with the growth of the internet, stock photography has become wildly popular. The availability of a wide range of images, from landscapes to cityscapes and more, offers a more cost-effective alternative to doing a custom photo shoot to produce content to use on your website or in marketing pieces. Whether you are using the purchased images for a blog, a website, social media platforms, or promotional materials, below are some tips to keep in mind when purchasing stock images. 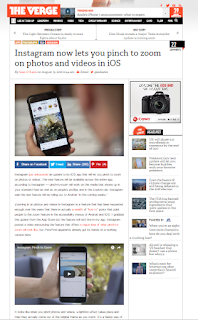 If you are purchasing images on a regular basis, DO buy a subscription. This will ensure that you are getting the most for your money. DO research usage licenses, because the differences are important. Do you know the difference between royalty free images and rights managed images? Royalty free means that the purchaser is free to use the image for whatever purpose they like, with a few exceptions, and for an unlimited amount of usage. So, let’s say I wanted to use one image for an advertisement in both print and digital forms. I would need to buy a royalty free image only one time and would be able to use it repeatedly without any extra cost. Rights Managed images requires users to specify exactly what the image will be used for, and additional uses would carry additional cost. Let’s say I found a great image that I wanted to use for an advertisement. I would have to select the type of publication in which the advertisement will be placed (ex. Magazine, newspaper, event program etc.) and specify the circulation of the magazine, the start date, and how long I would like to use the image. As you can imagine, this type of usage arrangement can drive the price of your stock photo from a few hundred dollars to a few thousand dollars. Remember your audience. If you are trying to reach a diverse audience, DON’T purchase images that do not reflect diversity. DO examine images with a critical eye. Let’s say I wanted to purchase an image for a personal injury law firm blog post that talked about being injured in a car accident. When I’m looking for a suitable image, I want to be aware of all of the parts of the image. 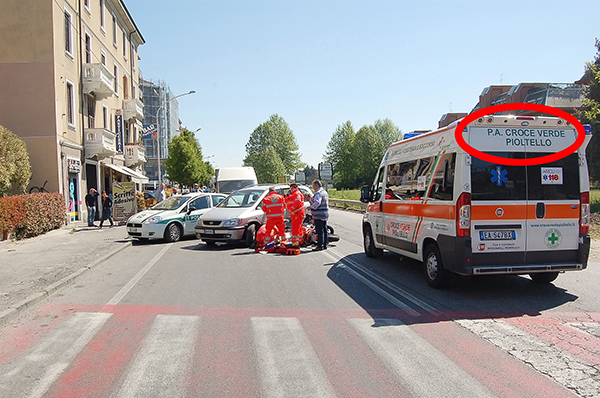 Sometimes, you will find a great photo, but then realize that, say, all the police officers are dressed in European uniforms, or the ambulance does not have the look that your users would expect. Some stock photography websites allow you to search by image popularity. DON’T pick the most popular images, unless they best fit your specific image criteria. 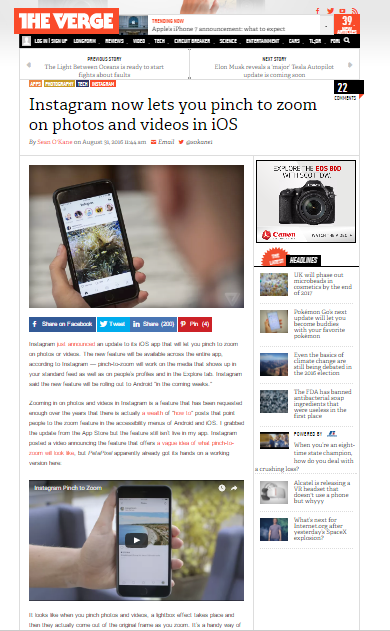 The chances of another competitor using that image or a similar one is likely, especially if you are using popular stock photo websites. You want to make sure you are differentiating yourself from competitors through the use of different images, whenever possible. These tips should help you make better choices when purchasing stock photography for your company or yourself. One of the most important tips to reinforce is making sure you are looking at the correct license for your use. Few things are worse than finding that PERFECT stock photo to fit your needs, only to discover that it is rights managed and will cost a few thousand dollars to use it every time you need it. Below is a list of some of the most popular stock photography websites; I highly recommend iStockphoto.com and Getty Images. No more hacks needed for Instagram users on Apple products. Instagram recently announced an update that allows all iOS users to pinch to zoom in on photos or videos. It will be available across the app – people’s profiles, users’ feeds, and the explore tab. Instagram says that the Android app will receive the updates in the “coming weeks.” If you’re a dedicated Android user and you can’t wait until then, don’t despair. You still have a hack that will let you zoom in Instagram. AndroidPit has the story. Are you using Twitter to its full capability? This article from Social Media Today highlights “5 Under-Used Twitter Features That Can Help Your Business Stand Out Online .” Bring more value to your Twitter presence by using Lists, Collections, Photo Collages, Featured Tweets, and Gallery features. 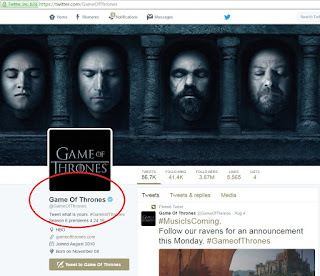 Twitter Collections and Twitter Lists help users better listen to the accounts they follow. They both offer improved content curation and better organization on the fast-flowing platform. 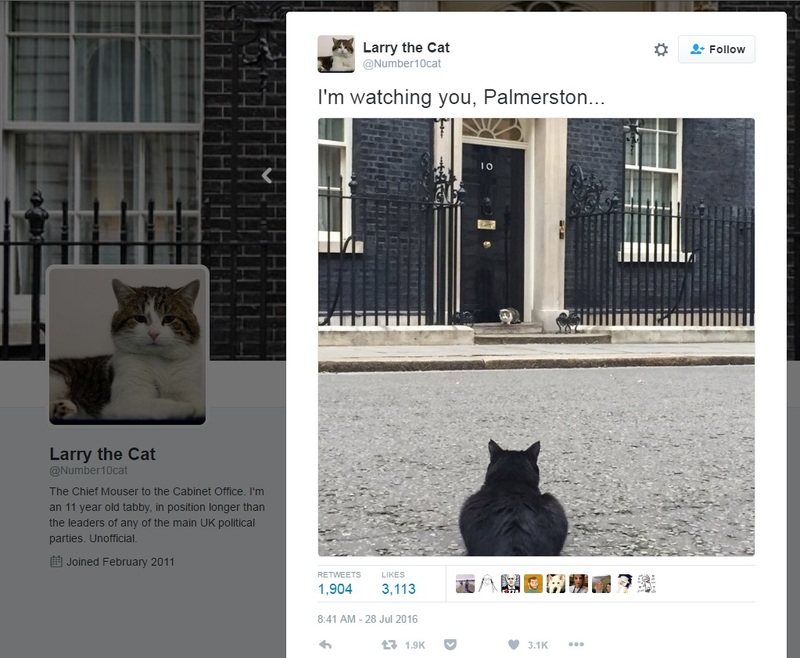 With Photo Collages, Featured Tweets, and Gallery, a user can create a story or message for their followers. Check out the article linked above for specifics on using these tools to create a better Twitter experience for your brand and your followers. Pew Research recently released its latest findings on the modern news consumer and concluded that 8 out of 10 news consumers get their news online. Pew found that 62 percent of Americans get their news through social media and 72 percent get news delivered to a mobile device. Most Americans continue to use news organizations as sources of news, but some receive news from their friends and family. Despite the rapid increase in digital consumption, however, television still commands the largest market share – 57 percent of respondents said they often get their news on TV, while 38 percent said they get the news often online. These findings should help brands and organizations make better strategic choices when considering how best to executive their public relations plans. For 10 years of my career, I’ve supported clients with email marketing. No matter the message, there is always one factor that is critical to all email marketers: will the email present well in Outlook? Recently, while working with a coworker to finalize an urgent client email alert, we experienced an issue with Outlook. The eAlert looked exactly as I had designed it in my Outlook, but it did not display the logo properly on my coworker’s screen. As soon as I saw a screenshot of her display, I knew what needed to be fixed. If you’re an experienced email marketer, one screenshot usually will provide you with enough information to solve the issue. Outlook display issues can range from not displaying a background color or an unexpected border around an image with a link to fonts displaying improperly and images showing up with incorrect justifications. In fact, virtually thousands of things can go wrong when designing for email marketing. I recently participated in an “Industry-Changing News” live stream by Litmus. Litmus is an email marketing service that provides access to view your email on various platforms including Mac, PC, Mail, all Outlook platforms and more. This service is invaluable to email marketers and developers because you can log in and view the email in all the platforms. I easily could have spotted the Outlook issue I described above if I had been able to test it in Litmus or other email testing and delivery tools. In addition to hearing more about the Litmus platform, about 15 minutes through the live stream, a special speaker from Microsoft was introduced. Caitlin Hart announced that Litmus is partnering with Microsoft to #MakeEmailBetter, the details of which can be viewed online at https://litmus.com/microsoft-partnership. The announcement comes after 15 years of having to create specific work-arounds just to make sure an email displays properly in Outlook. 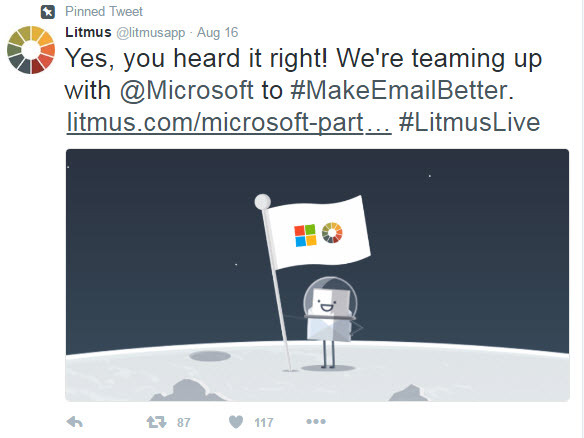 With a team of Microsoft engineers working with Litmus, I believe we will see some great things for email marketing in the future, things we were not capable of doing via email before. Do you consider yourself professional? If so, be sure you sound it when calling someone on the telephone. Me: Good afternoon, Furia Rubel, this is Rose. Caller: Hey there Rose, how you doin’? Is So & So around today? Me: May I ask who’s calling? Caller: Oh yeah, this is Jane The Unprofessional. Me: And may I ask where you’re calling from? Caller: Sure, yeah…I’m calling from Whatchalamacallsitfenterbriztes. Me: I’m sorry, can you repeat your company name, and is So & So expecting your call? Caller: Um, yeah WhatChaMaCallIt Enterprises, and oh yeah, I sent her information last week and she told me to call her today. Me: She is not available at the moment. May I take a message or would you like her voicemail. Caller: I’ll call back. [Click]. It is interesting how many callers don’t identify themselves or where they’re from. Even more amazing is how some folks can be overly familiar, as if we’re having drinks after work at happy hour rather than interacting for the first time. They also often speak unclearly and even lie to try to get through to the person they are calling. It’s clear with today’s techno-savvy world we’re often more apt to use email or even text messages to conduct business. However, the telephone is still a vital part of how we operate professionally. We may have conference calls with many people, phone call meetings with only two people, touch-base calls for one-on-one communication. I don’t think we’re giving up this amazing, 140-year-old invention anytime soon. So, in light of that, when doing business, whether seeking it or maintaining the relationship, it’s a good practice to be professional no matter who answers the phone. After the greeting, introduce yourself and explain where you’re calling from before asking for the person to whom you wish to speak. 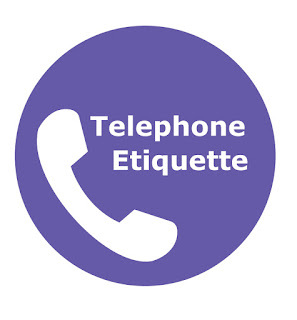 Be sure to speak clearly and in a moderate tone so the person answering can record your name. Explain why you are calling and when you can be reached. And by all means, please take “no” for an answer. “No” is a full sentence. Just this morning, I answered a sales call directed to our company owner, Gina. She was standing just feet away from me in an important conversation with one of our colleagues and was not able to take the call. I no sooner hung up with the caller when Gina’s cell phone rang and it was the same caller. She very sternly advised him never to call her again since he was just told that she was not available, she was not expecting his call, and he refused to leave a message, originally. Being professional goes a long way towards building relationships and telephone professionalism is a great way to begin and nurture business relationships. Do you have any other tips for telephone etiquette? If you’ve always coveted Twitter’s blue-and-white check mark icon, here the good news: Twitter is opening the possibility of account verification to all its users. The catch is, your account still has to meet Twitter’s threshold for bestowing its seal of approval in order to join the elite group of “public interest” figures who sport the mark. 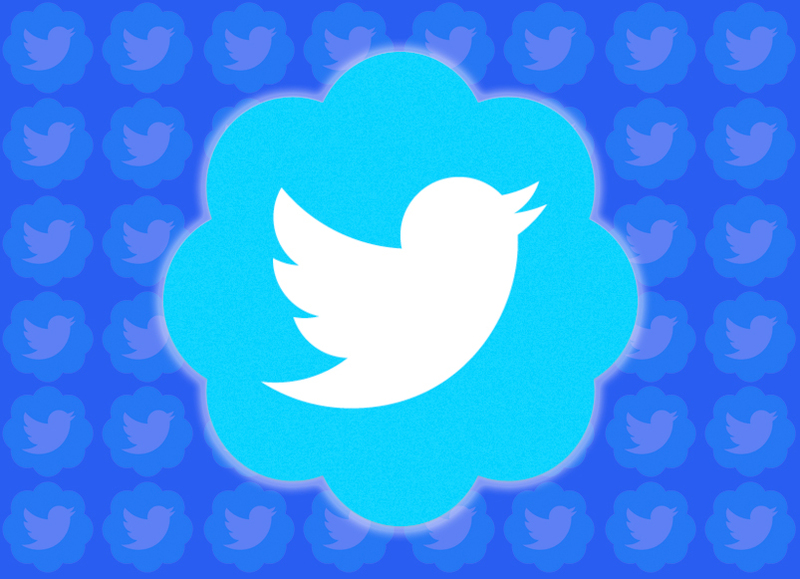 The blue check icon next to a Twitter name means that the social network has verified the identity of that Twitter user. It’s the difference between Game of Thrones (official HBO account, with 3.87 million followers) and Game of Thrones Memes (not affiliated with the network). In the past, Twitter offered verification to the accounts of those it considered public figures. The goal was to ensure the integrity of communication, enabling Twitter to become a reliable social media channel where followers won’t have to wonder, “Is this really you?” The blue check mark enables more genuine conversations because the source of the information is easily identified. If you think you’re ready to go seek the Twitter stamp of approval, you can request account verification here. Pokemon Go is an overnight sensation that could shape the future of advertising. 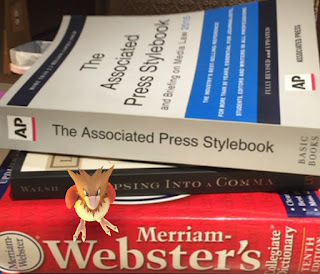 In the game, the real world converges with a digital world through the user’s smartphone GPS and camera. Navigating with the smartphone map, players walk through their local areas and catch Pokemon. Players can “power up” at Pokestops and take control of Gyms, spurring people to physically go to visit these locations. Sponsored locations soon will be coming to the game, allowing real-world shops and organizations to attract foot traffic through the offering of virtual tools to help game-players. Some retailers already are experiencing a surge in sales from increased visitors related to the game. Businesses could further capitalize by promoting the rare Pokemon popping up in their area, making their stores a viral destination. 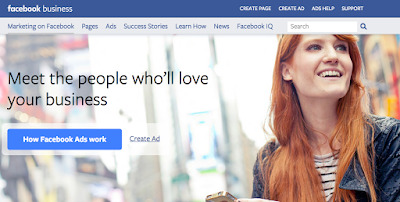 A new advertising feature on Facebook is helping marketers focus on their target audiences. The new feature, Engagement on Facebook, allows marketers to select an audience comprised of people who have viewed their brand videos for varying lengths of time - from at least 3 seconds (demonstrating at least casual engagement with the brand) of their video, to half of the video, and up to 95 percent of the video. 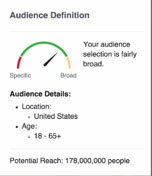 This custom audience feature allows businesses to aim call-to-action ads at people who have demonstrated connections to the brand. Being organized in the workplace is an integral component of a company’s productivity and profitability. Missed deadlines irritate clients which can result in loss of business. Late work makes a company appear overwhelmed and incapable. However, keeping a streamlined process in place to deliver projects on time and within budget satisfies both clients and employees. Below are some project management tips to improve efficiency in your company. Various platforms exist that provide companies with job tracking, reporting capabilities, timesheets, and even invoicing, and most are accessible through the internet to allow for remote working. The system best suited for a company varies depending on the functionality desired. At Furia Rubel Communications we use Basecamp for all of our marketing, public relations, crisis communications, graphic design and website development projects. Every project is created and named, and a calendar is generated to schedule the milestones for each job. Milestones for every task that need to be completed are assigned a date and team member. Once each task is finished it is checked off and, as long as each agency representative completes work on time, the project stays on schedule. Keeping the workplace organized is more than filing cabinets and inboxes. With work being done on the cloud and remotely via the internet, organizing has taken a digital turn and a naming system is essential. Clearly labelling jobs allows every team member to be on the same page and easily access a project in the future. Oftentimes project management software systems will help organize this process by numbering jobs or prompting a job name field. Still, the company needs to determine a naming convention to be used internally. Acronyms for clients work well along with project titles and dates created. For instance, a 300 x 250 web banner created for ABC Corporation’s August website might be labeled: ABC_300x250WebBanner_8_2016. This would then be filed alphabetically by the client on a server. In two years, if the client wanted to re-run that web banner, it could easily be found. Looking at a large campaign or assignment can be overwhelming, but organizing the job into tasks that can be completed and checked off gives a feeling of accomplishment along the way. A builder who undertakes an addition onto a house doesn’t just dive in. The builder begins with a plan that may begin with blueprints, then demolition and removal of debris, followed by each individual step that needs to occur from adding plumbing to final coats of paint. Whether laid out on paper or in the experienced mind of the builder, a job has a sequence of events that occurs. The same holds true at any company. Every project has a succession of tasks that can be mapped out and completed by one or various team members. In a marketing and public relations firm, for instance, we might break out an e-Newsletter into steps from drafting content, editing, or proofreading, to obtaining client approval, adding web links, and scheduling distribution. These project tasks can also be added to your project management software as templates which leads to greater efficiencies and productivity. How happy would a client be if a firm did excellent work but missed its deadlines? A press release announcing an event that gets distributed too late is no good to the client no matter how well-written. 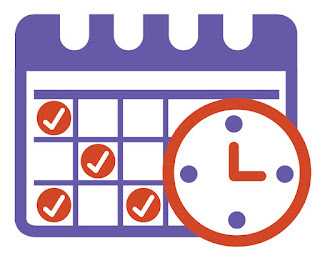 Staying on schedule is imperative to the long-term success of a company. Work backwards from the final due date and break the job into tasks. Each task should fill the calendar up to the final due date (and be sure to give your team some leeway whenever possible). 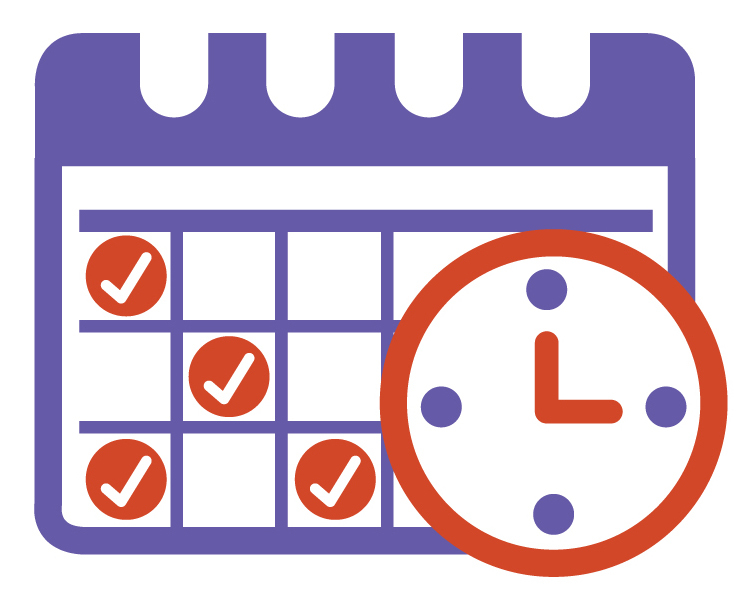 Assign these tasks and due dates to appropriate team members, and track any missed deadlines. Once a milestone is overdue, the schedule needs to be adjusted appropriately to ensure the job stays on track. Organization is essential to project workflow. Keeping jobs on track not only maintains client satisfaction that can lead to referrals and future business, but also promotes a healthy workplace of employees who feel proud to have accomplished goals and be a part of the company’s success. Megan Quinn is marking her two-year anniversary with the Furia Rubel team. What has she learned over those two years, and what is the best advice she’s been given? We sat down and asked her a few questions to get to know her better. Read on. What role do you play in the Furia Rubel team? I am on the public relations side of things here, which includes a wide range of responsibilities, from writing blog content one day to drafting press releases or pitching stories the next, then securing interviews and creating interesting social media posts for our clients. What has been the most rewarding project you’ve worked on (or task you perform regularly) at Furia Rubel? When I’m assisting a client with a big story by pitching their news to reporters, responding to media inquiries, and tracking breaking news stories, and the client feels good knowing that we are on their side, that’s when I feel the most rewarded. Describe a challenge you’ve faced in the workplace, how you solved the issue, and what you’ve learned from it. One of the biggest challenges I’ve faced was when I was pitching stories for a client and I wasn’t getting the kind of responses I’d hoped for. I had to be resourceful and think of alternative ways to reach the media. I took a step back and re-evaluated my methods and thought, what could I do better, or what haven’t I tried yet to get their attention? As soon as I started to ask myself those questions, I got more creative and found other ways to reach the journalist to whom I was pitching. The project turned into a huge success, and I’m proud of myself for overcoming that fear. That was a learning experience that helped me grow in my career. What is the best advice you’ve been given by a parent or a mentor? Double check everything and write down EVERYTHING. What is one important skill anyone working in PR should have? These are two skills, but the ability to write and to speak well are fundamental to this work. Having the ability to effectively communicate the messages that you need to get across is crucial in public relations. Do you have any favorite quotes? If you could go on vacation anywhere in the world, where would you go? I’ve always dreamed of going to Paris, France someday, but Iceland looks gorgeous and that’s definitely a place on my bucket list now! What are your favorite applications (on your phone)? Probably Snapchat, Twitter, Facebook, Pinterest and occasionally MyFitnessPal when I’m in the mood to track my diet. What do you like to do when you’re not at work? Reading, watching HGTV, and going to parks for a stroll with my fiancé when the weather is nice. I’m completely drawn to the sun as soon as it’s visible, and I have to be outside. Resourceful, quirky and a spitfire. Visuals such as photos (and videos) are an important part of your communications plan, but the work doesn’t end once the image is made. If you are submitting that photo for publication, you have a little bit more to do. Photos submitted to media outlets should be accompanied by clear information about who is pictured, what they are doing, and where and when the action took place. Here are the guidelines the Associated Press (and, therefore, most news outlets) follows for photo captions. Describe who is in the photograph and what is happening in the photo in the present tense. In general, names should be listed in order, left to right, unless it is impossible for the caption to read normally otherwise. With multiple people identified with the caption, enough representations to placement are necessary so there is no confusion as to each subject’s identity. Name the city and state where the image was made. Provide the date the photo was made, including the day of the week if the photo was made within the past two weeks. An optional second sentence of a caption can be used to give context to the event or describe why the photo is significant. Many publications do not include a second sentence, as it takes up additional space and often is subjective, rather than being strictly factual. 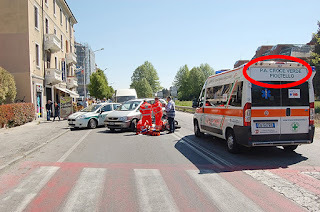 The structure of a basic photo caption, therefore, can be expressed as: (Noun) (verb in present tense) (direct object) during (event name) at (proper noun / location) in (city) on (day of the week), (month) (date), (year). 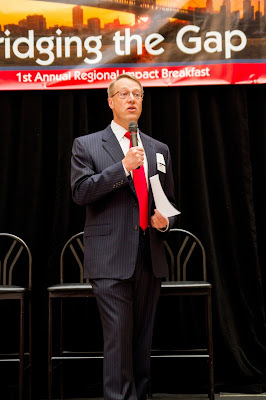 Gray Wirth, President and CEO of Impact Thrift Stores, addresses the audience during the 1st Annual Regional Impact Breakfast at Talamore Country Club near Ambler, Pa., on Wednesday, June 15, 2016. Note that we always recommend triple checking the factual information, including the spelling of people’s names and organizations and titles. Having your own professional photographs to submit to publications along with your press releases, story pitches, announcements, calendar listings, articles and blog posts is more important than ever as communication continues its shift from text to visuals. Including the correct information along with those visuals will give your submitted photos an advantage over the competition and increase your odds of having your photos chosen for publication. In a recent blog post, I wrote about the importance of color selection in website artwork and design, but did you know that some companies go as far as trademarking their colors? Brands need to protect themselves from competitors in their same industries trying to use their signature colors. One of the best examples of this is Tiffany Blue. The jeweler Tiffany & Co. started using its robin’s-egg blue in 1845, when founder Charles Lewis Tiffany chose the color for the cover of “Blue Book,” the company’s annual collection of jewelry. Tiffany Blue is a custom Pantone color created for Tiffany & Co. and is not available for public use. (Pantone is a color-matching system that helps ensure that colors reproduce consistently across various printing techniques.) Not only is the color trademarked, but the boxes in which the company’s jewelry is packaged also are trademarked. 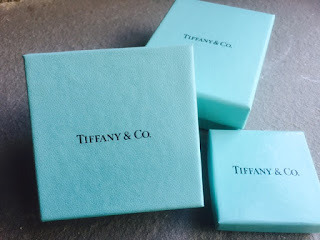 Tiffany & Co. uses Tiffany Blue on everything from its advertising to its boxes and even as the background color for its website. No other brand is associated with that distinct blue, certainty no other jewelry companies. Trademark protection for a brand color helps consumers clearly identify the source of a product or service. Tiffany & Co. has protected its brand from competitors by trademarking the color blue. Many other brands also have trademarked their colors, including AstraZeneca’s heartburn relief drug Nexium and Prilosec, which is marketed as “the purple pill.” A trademark protects the purple pill from other pharmaceutical companies using purple to sell their medication. In a recent court case, another pharmaceutical company tried to create a generic version of the drug using the same color purple. AstraZeneca sued the company and won an injunction, forcing the generic drug maker to choose a different color. Even having a shade similar to a trademarked color could cause legal trouble for a company if it is promoting similar products and services. In 2013, T-Mobile sued AT&T for infringing upon its trademarked magenta color. A federal judge sided with T-Mobile, saying AT&T’s “plum” was too similar to T-Mobile’s distinctive hue and ordering the company to stop using magenta and similar colors in its marketing and advertising. Choosing a color to represent your brand – whether you sell jewelry or medication or telecommunications service – carries important ramifications. Clear, consistent use of an established color palette is a vital part of building a brand, as is protecting the usage of that color within the same brand sector. What steps does your company take to ensure that its brand color is protected from competitors?